Congratulations to the winner, #62-Tawnya! "Kissmecrafty was started in early 2008 by two sisters (Kristen & Serina) who wanted to share their creations with the world. We create polymer figures, accessories, along with other forms of art we are dabbling with. Kristen - hair accessories (headbands, bows, etc. 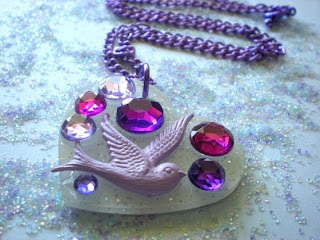 ), hand crafted (polymer/beaded) jewelry. Serina - Sculpted polymer figures, hand crafted (polymer/beaded) jewelry"
Buy It: Find these beautiful handmade creations and more at Kissmecrafty!! 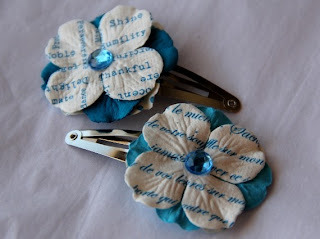 Win It: Kissmecrafty has generously offered one ABCD Diaries reader an item from their shop...winner's choice!! To enter, follow our blog via GFC and comment below. 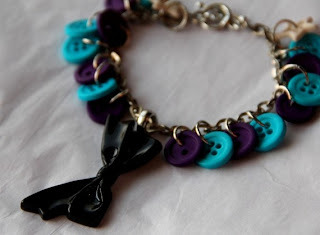 5.Make a purchase from Kissmecrafty during this giveaway +5 entries!! 9.Enter any other current giveaways on ABCD Diaries and leave a comment saying so. +1 entry for each! I like kissmecrafty on FB! 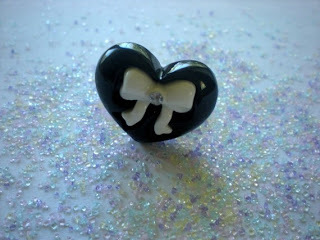 I added kissmecrafty to my favorites on etsy!